Microsoft announced an update to Windows 10, along with a bunch of Surface-branded devices at its October 2 event. 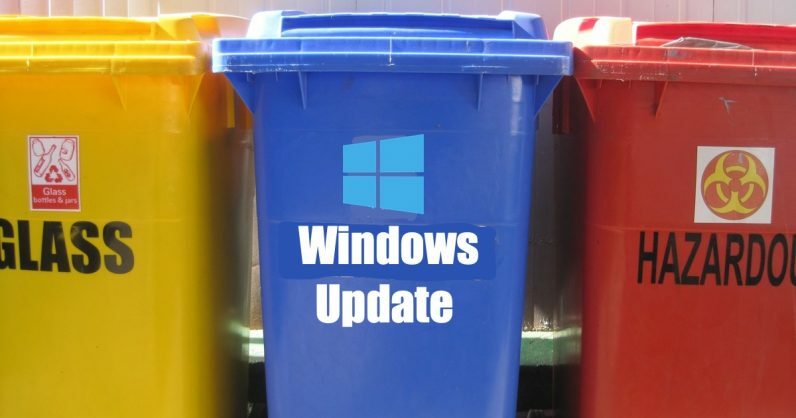 Just a few days later, plenty of users started reporting that some of their desktop files were automatically deleted after they installed the update. That included files stored in the default folders for documents and pictures, among others. Hopefully, you haven’t had to suffer this nightmare. To stay safe, you’ll want to try one of the following ways to escape the file-deleting update. First of all, if you haven’t downloaded the update yet, you’re in luck. Microsoft has paused the distribution of the update, so you can’t manually download the file. But in case you have downloaded the update, you should avoid installing it if the option is available on your flavor of Windows 10. It’s generally offered in Enterprise versions of the platform. The other thing you can do is defer PC restarts until you’ve backed up your files. Microsoft executive Dona Sarkar posted a tweet saying that users whose files are affected should call the company’s support line for help recovering their data. But BleepingComputer found that support reps are simply asking people to use System Restore to roll back to an earlier point. In some cases, they’re running NTFS File Recovery for customers via remote login. You can go down that route, but you can alternatively try these yourself to save time on the phone. While you can avoid installing the new Windows 10 update through various means, it is always advisable to back up your important files to the cloud or on a hard drive. In this case, you’ll want to have a copy of everything in your Documents and Pictures folder, as well as any other data that’s essential to you. Most cloud storage services like Google, OneDrive, and Dropbox offer automatic backup and sync options for the important folders on your PC. However, keep in mind that free accounts on these services have a limited amount of storage. If you have a lot of data that needs backing up, you should upgrade to their paid plans to get more storage space on the cloud. Alternatively, our own Abhimanyu Ghoshal recommends opting for a dedicated backup service like Backblaze, which costs $50 a year per computer.